Later that year whilst on an “Operation Pedestal” convoy voyage, under Capt. 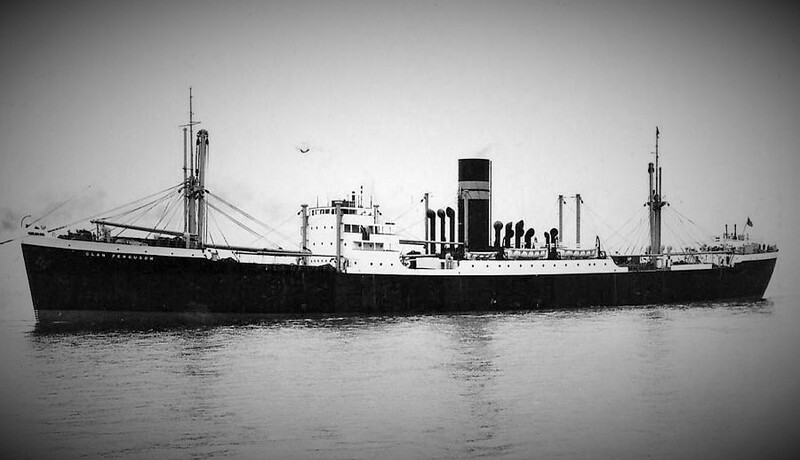 A. Cossar, from R. Clyde to Gibraltar and Malta, she was sunk by aircraft launched torpedo, 20 miles north from Zembra Island, Tunisia with the loss of 11 lives. 19 January 1942 Clan Ferguson arrives at Valetta.